Support Lisbon VFC By Doing Holiday Shopping on Amazon! 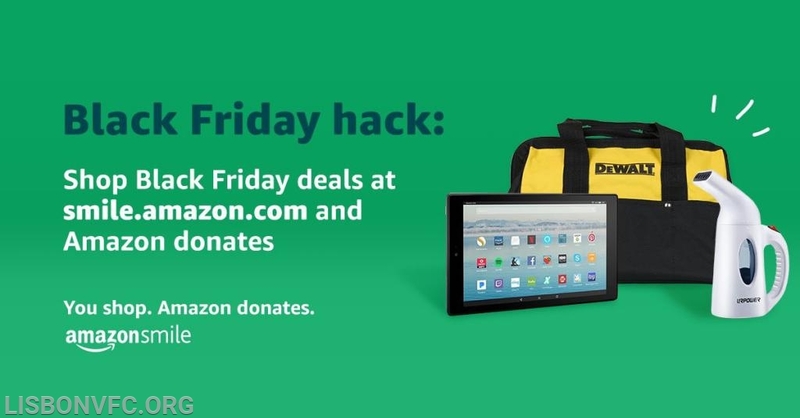 Support Lisbon VFC by doing Black Friday and holiday shopping on Amazon! Lisbon VFC Amazon Smile Link, click on the link below to set up your account. detail pages. Recurring Subscribe-and-Save purchases and subscription renewals are not currently eligible. - Yes, you use the same account on Amazon.com and AmazonSmile. Your shopping cart, Wish List, wedding or baby registry, and other account settings are also the same. - On your first visit to AmazonSmile smile.amazon.com, you need to select a charitable organization to receive donations from eligible purchases before you begin shopping. We will remember your selection, and then every eligible purchase you make at smile.amazon.com will result in a donation.